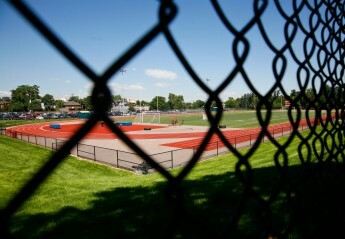 The bus on Saturday arrives 8am and leaves East at 8:30am sharp for the “Altitude Running Invite. It looks like we will have a snow-free meet tomorrow at the All-City Stadium at South High School. The bus will leave East at 10:00 am. As a reminder, atheletes who will be coming or leaving with a parent must let a coach know. The Thunder Ridge Meet scheduled for Saturday, March 16, has been canceled due to weather. Stay tuned to find out if there will be a Saturday practice since we don’t have a meet tomorrow. If you haven’t checked out a uniform, today is the last day to check one out. Check out will be after school in the counseling center (room 225). You can also pick up any track & field merchandise that you ordered from the gear shop after school today. No practice today due to school closure. Uniform check out will take place tomorrow 3/15 from 2:45 – 4:30 in the counseling office. Also, please stop by to pick up any gear that was purchased off the track website. Thanks! Practice and the Relay Meet are both canceled for Wednesday, March 13 due to weather.